Choose the right hearing aid and wear it with ease and comfort. Hearing loss or hearing impairment is defined as the state of partial or complete inability to hear. Out of all possible diagnosis available, the prime and most effective stands to be using the hearing aids. However, there are different types of hearing aids and not every hearing aid will be right for you. You have to be quite cautious while selecting the perfect hearing aids for you. Assessing the degree of hearing lossThe very first step you need to follow prior to buying hearing aids is paying a visit to your audiologist. The audiologist will then assess the degree of your hearing loss. In general, there happen to be seven degrees of hearing impairment, which ranges from normal i.e. -10 to 15 decibels to intense i.e. 91 or more decibels. 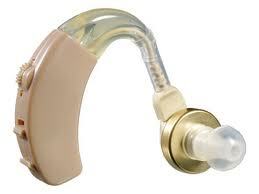 Hearing aids are to be chosen based on the degree of your hearing disability. The size of your inner and outer ear will also have a major role to play in deciding upon your choice of hearing aids. An in-the-ear or ITE device fits perfect for small outer ears and for small inner ear, a behind-the-ear or BTE is the best option. While selecting the hearing aids, you should also take into count your lifestyle. If you are someone who's active outdoors then you must opt for a device that has wind protection technology. Similarly, those who work in a diverting environment should better consider hearing aids minimising background noise. As hearing aids are to be worn consistently, it is highly important that you are at ease and comfort while putting on the hearing devices. Thanks to the technological advancement, now you have a variety of hearing aids available in different sizes, styles, and colours that can help you make a fashion statement with your hearing aids. Pick the one that suits you the best. Though the cost of the hearing aids is never the primary deciding factor but they do come into the scene given the variety of devices available. Always remember that the most expensive hearing aid will not necessarily be your ideal choice. So pick up the device that not only fits your budget but also offers you the desired quality. Keep the above mentioned points in mind as you set out looking for a hearing device! You might be interested in knowing How Hearing Devices work?